Analysis of sparkling and still wines in the Yarra valley, Victoria. 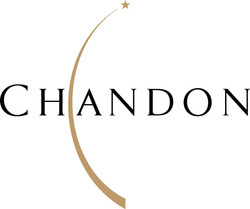 In 2009 I worked at Domaine Chandon winery in Coldstream, Victoria. A wide variety of sparkling and still wines are produced here. I was employed as a laboratory worker for the Vintage period which was meant to last for 2 months, however a reduced grape crop due to bushfires meant that my contract was terminated early. I only worked here for 3 weeks (02 to 19-Feb-2009), but the training was very valuable. Many temporary vintage workers had flown in from other countries such as France, Scotland and New Zealand. Some of these people traveled around and worked vintage in different parts of the world as the grapes ripened. For example Australia, New Zealand, Argentina, California, France and Spain all have vintages spread through the year. Test samples for: SO2 levels, pH and total Brønstead acids, sugar content of juices, alcohol levels, acetic acid levels, pressure tests of sparkling wine bottles, calculate residual sugars in sparkling and still wines. Maintain a clean and safe laboratory environment. Major hazards included strong acids and H2O2. This lab had a tasting station which was often used by visitors. We were encouraged to taste what we were testing so we could learn more about wine. Mouth pipetting of wine samples was normal and necessary as we were expected to complete large volumes of work. There were well over 100 tanks of various size, nearly all of which contained ferment. The largest was around six stories high. Collection of samples from these tanks involved climbing to the top and lowering a steel ladle on a chain. Most days there would be 15-20 samples to collect which would be done first thing in the morning and might take one hour. This was stored in a separate warehouse. There were hundreds of barrels, the highest required the use of a scissor lift for access. To remove a sample from one of these barrels, a rubber tube was inserted by unplugging a hole at the top and the wine was sucked out by mouth until enough flow was created to fill a small glass bottle. This was done without removing the barrel from it's shelf, but rather using a scissor lift to access high barrels. Extra care was taken around the high level of forklift traffic during the vintage period. Sulfur dioxide acts as an anti-oxidant in wine and occurs naturally. Extra SO2 may be added depending on the desired product. Sulfur dioxide in wines exists as 'free SO2' and 'bound SO2' (to acetaldehyde). The sum of both gives 'total SO2'. Bound SO2 can be released by addition of 1M NaOH to a wine sample with application of heat. To determine free SO2, the sample was treated with H2O2 to convert SO2 to H2SO4. This was then titrated with NaOH solution and a coloured indicator was used to visualize the equivalence point when the H2SO4 was depleted. It was then heated for 10 min under a Bunsen burner to release the 'bound SO2' and retitrated. A setup was created that allowed six samples to be tested at once. pH could be measured simply by using a pH probe which was kept calibrated at all times. However to determine a wine's total acidity (TA) which is a measure of all of the Brønstead (protic) acids present, required a titration. An auto-titrator expediated this process. A known volume of wine was added to a known volume of NaOH solution and the sample number entered into a computer. This way 12 samples could be prepared and analyzed while we worked on other tasks. This simple test was performed on in house ferments and grape juice as well as for farmers who wished to know when to harvest their grapes. In the latter case a large bag of grapes was delivered to the lab. Their juice was squeezed and poured into a 50 mL centrifuge tube which was centrifuged for 5 min to carry dense solids (seeds and skin) to the bottom. A few drops of juice were then applied to the sample window of the instrument (right). The juice's ability to refract light correlates with its level of total sugars. Results were recorded in either 'brix' or 'baumé' units (1 baumé = 1.8 brix). The refractometer sample window was then wiped with water and ethanol to leave it ready for the next sample. It was a very enjoyable experience. The full time staff often cooked BBQs for the casuals and shared home brew beer or aged wines that they'd been saving. They were passionate about teaching skills to newcomers and they enjoyed welcoming workers from foreign countries. It was a real shame about the bushfires.